When doctors think back to their medical school training, watching a simulated patient being extricated from a car in front of 2500 people in Berlin probably isn’t the first thing that comes to mind. Yet amazingly, this is an experience that I (a medical student in Virchester) and 25 other healthcare students from around the world were lucky enough to have three weeks ago at dasSMACC. 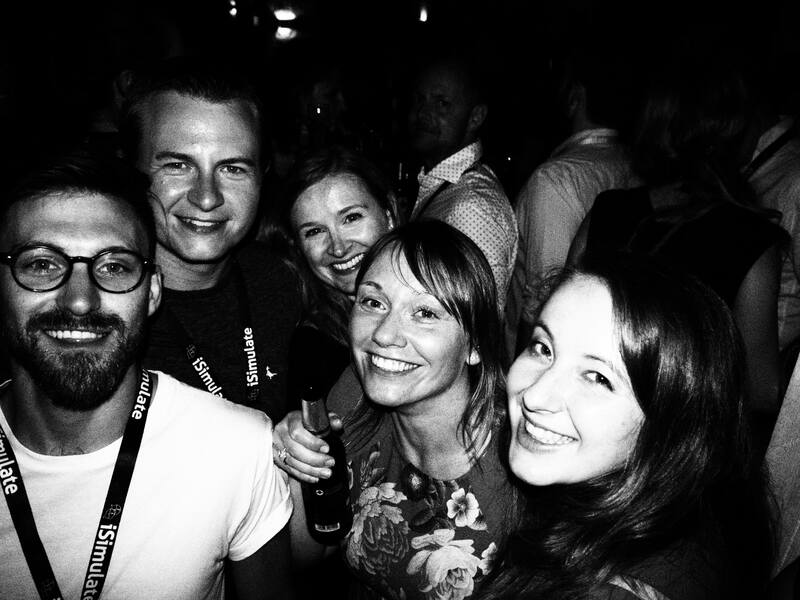 This blog is going to be about how I found the dasSMACC experience, and what I’ve taken home from it. A little bit about myself first: I am a Virchester born and bred, soon to be fourth-year medical student at St. Emlyn’s. For that, I already consider myself lucky! Emergency medicine and critical care have always been the areas of medicine that fascinate me most and throughout my studies so far, I’ve constantly sought out extra experience and contacts in these fields. Through this, (which included searching through Twitter and discovering the wonders of #FOAMEd) more and more doors continued to open and I found out about SMACC. As conferences go, SMACC is pretty unique. This is something I was aware of before I travelled to Berlin, and (considering this is the first conference I’ve ever attended) I’ve since been warned multiple times not to expect other conferences to be even slightly similar. 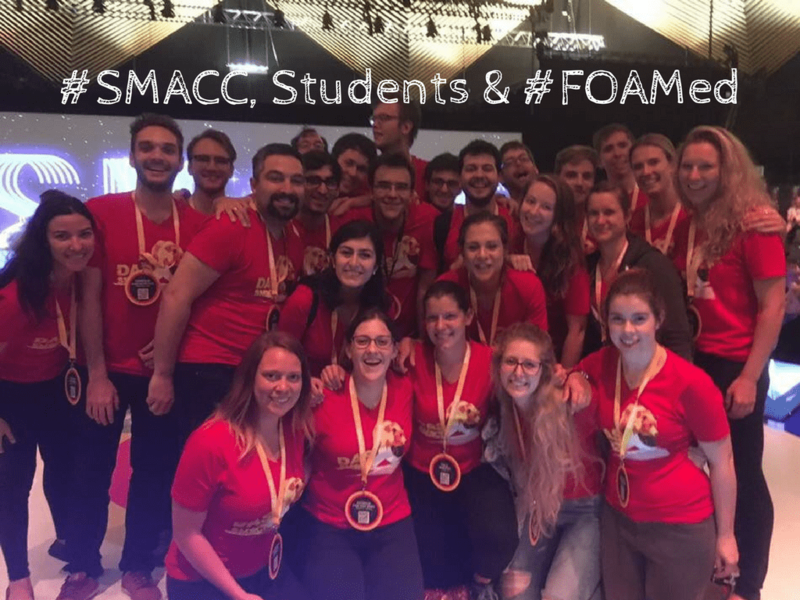 That being said, the apparent uniqueness of the conference is what drew me to it in the first place – traditionally, medical conferences haven’t always been the most welcoming places for students, and the idea that SMACC was born from the #FOAMed movement (and therefore encouraged cohesion and promoted inclusivity) was a massive selling point. With that in mind, when I was made aware that they offer 25 students free tickets to the conference in return for volunteering, I jumped at the chance, and was over the moon when I was subsequently accepted. Saskia and I travelled from Virchester (with the approval of the other Professor Carley, and as part of our student selected components of our degree) after applying last year. We talked through the application process and experience with the wonderful Doug Lynch on the link below. The volunteering itself was great fun – if you were there, you’ll have definitely seen us in our red shirts, looking a bit exhausted but happy. Our different skills and interests led to it being a truly versatile, hard-working team, and we learnt a lot from each other as well as the speakers. Something I found particularly poignant was how different an experience it can be to be a medical student in another part of the world, despite us all learning the same things and sharing common goals. I consider myself a fortunate person to be able to pursue the career I have always wanted, and had not previously spent much time thinking about how it might be different if I were a student elsewhere. Gaining friends who had to flee their war-torn country mid-studies, or who received an email during the conference telling them their final-year classes were cancelled due to lack of funds, really put things into perspective. Others have already given their opinions on the talks. I found myself completely captivated during many of them – both by the content of the talks and the speakers themselves – and have returned to Virchester excited to learn more about all aspects of pre-hospital, emergency and critical care (and how ultrasound helps in almost every situation!). To me, however, the talks were eye-opening and insightful beyond a purely scientific level – and others seem to agree. Cliff Reid wrote on Twitter that whilst ‘other conferences aim to be practice changing, this one will be behaviour changing’. This is something that really makes sense to me – as a medical student, having listened first-hand to such stories as those of James Piercy and Martin Bromiley (alongside learning about new medical advances) will arguably have a far greater overall impact on me and my career than if I had listened to people purely presenting their new papers. There are countless other personal advantages I could talk about of student volunteering at the conference, but in terms of what we offered to the delegates – I hope we were able to help you in some way throughout the week. We certainly put the effort in behind the scenes! Ahead of the trip, I imagined it to be a fantastic way to meet other students (medical, paramedical, nursing and pharmacy) and clinicians passionate about FOAMEd, Emergency Medicine and Critical Care, and also attend a conference which would have otherwise been financially out of reach. The reality surpassed that entirely. SMACC enabled me to connect with countless doctors from all around the world, who (alongside teaching me about both cutting-edge and controversial areas of emergency medicine and critical care) inspired me to continue learning, pushing boundaries and enjoying seeing how far medicine can take me. It’s also impossible to speak highly enough of the amazing St. Emlyn’s team, who truly involved the Virchester students, supported us and made sure we had a wonderful time. I know I am extremely lucky to be learning alongside so many forward-thinking people who love to teach and encourage those who want to learn. I returned from the conference feeling motivated, connected, and more aware of the different paths medicine can offer. Three weeks down the line, I’m pleased to say that this hasn’t changed. Due to the wonders of social media, the almost inevitable ‘post-SMACC comedown’ hasn’t hit as hard as I expected it to. In fact, I have been blown away by the support and opportunities offered since returning home – a time I originally worried would leave me slightly deflated and ‘back to square one’. In hindsight, it was not just the speakers and organisers who made the experience so enjoyable for the students – it was anyone who took the time to stop, listen to us about our aspirations, teach us, and make us feel welcome. I’m happy to say that this was the majority of people! It is an atmosphere that I won’t forget, and that I hope to contribute to in the future. So, the question that naturally follows all this is “how am I going to put what I’ve learnt from SMACC to use?” There are many ways to go about this, but it will start in Virchester. I feel extremely lucky to be going back to placements having seen the opportunities that are possible in the future. I hope I will be able to keep in mind this ‘bigger picture’ of the medical world that I was immersed in last month, whilst simultaneously showing the individual care, patience, compassion and humility that every patient, family member and colleague deserves. On a wider scale, what stands out to me as the most vital action to take is to spread the word to other students about #FOAMEd, and encourage them to explore the medical world not only outside of the placement they are currently on, but also outside of their immediate region. There really are no boundaries. Above all, SMACC highlighted to me just how exciting medicine is, and how far it can take you if you look in the right places. Editorial note – It was an absolute delight for all of us at St.Emlyn’s to work with Claire in Berlin. She is an exceptional student, as are all the student volunteers. We’ve no doubt that you’ll be hearing from her again. We are proud to have had her join us on the team. Ed – working hard and playing hard is part of the SMACC experience. A great way to make contacts from around the world. Previous: Previous post: Dear Educational Supervisor, it’s time for your ARCP. St.Emlyn’s.